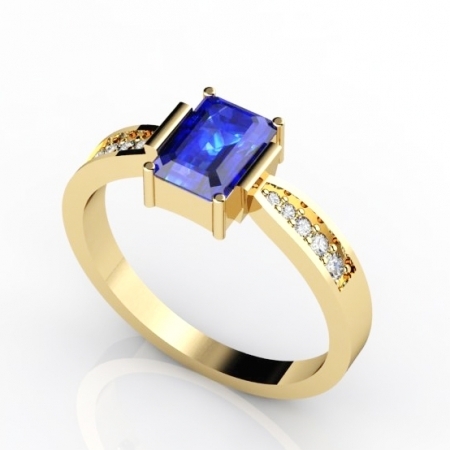 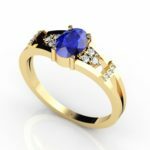 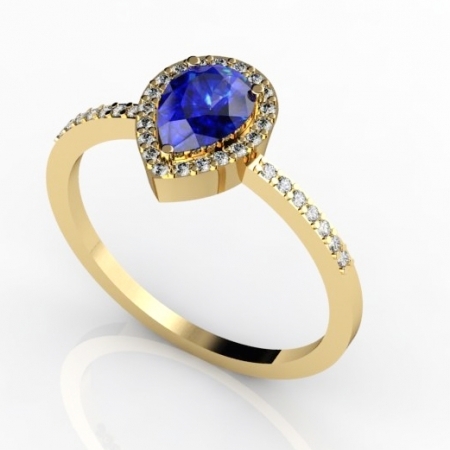 Round Tanzanite engagement ring is for creative types with a style all their own. 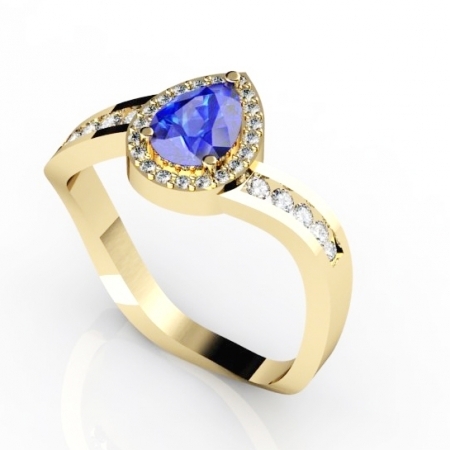 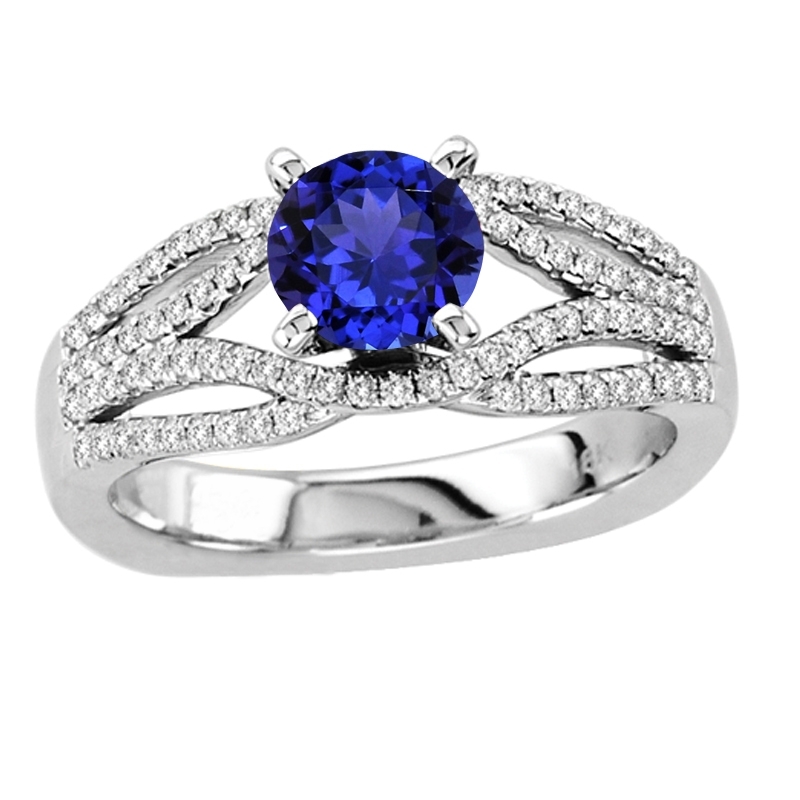 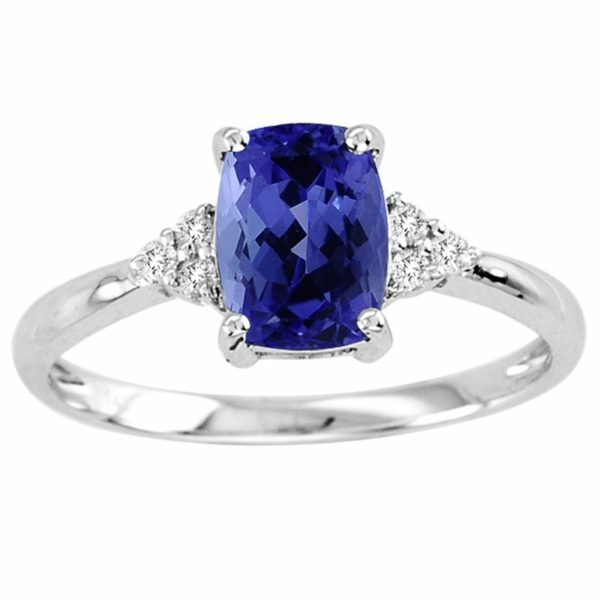 Round cut Tanzanite Ring is a classic addition to woman’s personality. 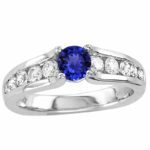 This magnificent ring consists round cut tanzanite of around 0.22 carats enclosed with 87 diamonds, on the band made in 14k white gold.